Do you have any childhood memories of attending professional baseball games? I know I do. I was so enamored by the players. The stadium was packed with fans cheering and screaming. I was star struck watching the players sign autographs after the game and thought that their lives were picture perfect. 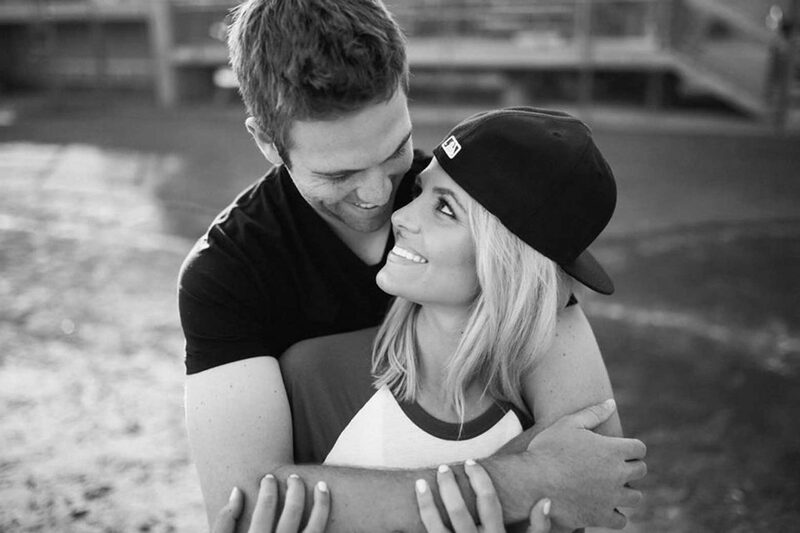 Then I married a professional baseball player. Before I met my husband, I was naive to the whole baseball lifestyle. Now that I am living it, my whole perspective has changed. It is easy to stereotype people. I’m at fault for doing it often. But being a “baseball wife” has really challenged me not to be so quick to judge and assume certain things about people because I have now experienced being stereotyped myself. Reality television shows like the one on E!, WAGS, have permeated pop culture. They portray the life of an athlete’s wife as some sort of lottery ticket filled with glitz and glam. I watched one episode, mostly out of curiosity, and it didn’t surprise me to see that the episode was filled with gossip, drama, money, superficial girl talk, and status. People may hear “baseball wife” and assume it to be a glamorous, problem-free job. That is not true at all. Does it come with some glamour? Absolutely. But it also comes with some challenges too. But what doesn’t? I am by no means saying that the challenges we baseball wives face are the worst of the worst. I have friends in the military and I see the hardships they face, wondering if their husbands will come home alive from their missions oversees. I can’t imagine that feeling. I find it ironic that reality television is not much of a reality at all. What I have come to find while living this crazy baseball life is that being a “baseball wife” requires a lot of grit and grace. Grit. Yes, us baseball wives have grit. I have gotten to know a lot of the wives over the past year, and I am convinced now more than ever that when we wake up every morning we put on our invisible red capes. Especially during the in-season, because while our husbands spend 10+ hours at the field every day, the wives are in charge of everything else. There is a wife homeschooling their children just so they can keep their family together during the baseball season. There is a wife who leaves to go work at a local coffee shop or boutique just to make a little extra cash to help with finances. There is a wife who decided to put her career on hold so that she can travel with her husband, and she is trying to adapt to this new lifestyle while still figuring out a way to pursue the dreams and passions that have been laid on her heart. There is also a wife thousands of miles away who is pursuing her career and providing for her family while sacrificing valuable time with her husband. None of it is easy. We are driven women with passionate goals, and this community of wives has rallied behind each other regardless if someone decided to pursue their career or travel with their husband. We are all sacrificing something. Also, the volatility of not knowing what city we will be living in is challenging, not only physically but emotionally as well. On the last day of spring training I asked my friend where they were headed for the season and she said she didn’t know, but they were going somewhere within the next 24 hours. Bags needed to be packed. Cars needed to be shipped. Living situations needed to be made. Yet, they had no idea where they were going. The next morning, the husband left on a plane with the team while the wife packed up her car and drove 14+ hours to meet her husband. I have done my fair share of complaining about the uncertainty of this lifestyle, but I have now come to realize that complaining has gotten me no where. So, we need to roll with whatever comes our way. That means being able to pack up our things and move at the drop of a hat. …I am convinced now more than ever that when we wake up every morning we put on our invisible red capes. Then there is grace. Baseball wives are full of grace. Being the support system for our husbands is invaluable. Whether they had a great game or bad game, they are either coming home to us or calling us afterward. We need the grace to understand that our husband, who may have just had his worst game of the season, needs a loving wife to be there for him regardless of how our own day went. We graciously have open conversations about the good and the bad of our day, but are aware enough to not go down the endless tunnel of complaining. Proverbs 31:25 is a great explanation of a baseball wife, “She is clothed with strength and dignity, and she laughs without fear of the future.” What I love most about this Proverb is the “she laughs” part. Unlike what you will see on the reality television shows about WAGS, the baseball wife community is truly one big family. We get each other and we laugh as we venture on this crazy, ridiculous, uncertain, fun-filled baseball journey together. We befriend each other in the stands. We laugh, we make memories, and honestly no matter how long we have been around this game we are just trying to figure it out along the way. We are normal people who struggle with insecurity and purpose just like anyone else. But, no amount of certainty and stability can compare to being able to support our husbands while they live out their childhood dream. I wouldn’t trade it for the world, and I know my fellow baseball wives wouldn’t either. Baseball wives are full of grace. Do we live unconventional lives? Yes. In fact, I feel like I have two lives: one being in the off-season and one being in the in-season. But, our husbands’ careers are our careers too. Being married to the game is a “we” thing. We understand that at any moment this game can be over, so why not enjoy it and embrace the craziness? We know it doesn’t last forever. When I look back on this time, I know I will miss calling a hotel room my home and ordering room service that includes scrambled eggs with a side of hair. I know, gross! But I just need to reiterate that this life isn’t all rainbows and butterflies. We are women with a lot of grit and grace and we laugh without fear of the future.